Monday- Saturday 9-8 p.m., Sunday 10-6 p.m.
All of our 5 float rooms are spacious, sanitary, private with full showers. We are hoping to be your new destination for total relaxation. Featuring the desert’s only Float Cabin with a 7 foot tall ceiling. We have no distractions here. Massage and Facials are available after your Float. We have complimentary 5 minute chair massage available before or after your Float. After 5 minutes, 10 minutes for $12 and 15 minutes for $17. Relax in our post-float room afterwards and sip on tea or water. Desert Serenity Float & Spa is located in the heart of Palm Desert, North of Hwy 111, down the street from Venus de Fido. Desert Serenity Float & Spa offers sensory deprivation / float tank therapy in the Palm Desert, California area. They will help you get the most from your float tank experience. 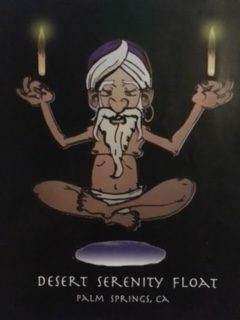 Contact Desert Serenity Float & Spa now to schedule a float. Are you considering trying floating in Palm Desert? 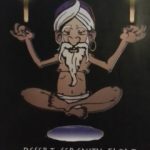 Desert Serenity Float & Spa has a float tank available for your use. Come try out floating in a sensory deprivation tank to see and experience the benefits of floating for yourself. Call Desert Serenity Float & Spa at 760-404-0419 or stop by to set up your first float in Palm Desert. This entry was posted in California by Denise. Bookmark the permalink.